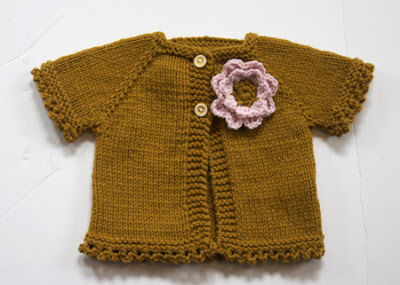 cardigans and kids: another elsie. a few more details are on ravelry. so sweet - and that flower - what a great little cardi for a spring girl! Beautiful sweater! I love how you used those colors, they look very nice together. Thanks for the link to the yarn, I like that.